Offering breathtaking views of the meandering Yamuna River, the pictorial town of Etawah is known widely to be the home to various interesting tourist destinations in and around. There are always a number of options left for the tourists here to enjoy a couple of days in exploring the most popular weekend getaways around Etawah, which holds innumerable surprises for its visitors. Ranging from the historical fortifications to the pristine treasures of the unharmed beauties of nature, Etawah happens to be a perfect tourist destination in Uttar Pradesh with so much to offer to every person here. For the holidaymakers and vacationers interested in spending some time in contemplation or fun on their trip to Etawah are left with countless options. Bhareh Fort, Lakhana Fort, Saman Bird Sanctuary and National Chambal Sanctuary happen to be some of the most fascinating nearby weekend getaways for the visitors in Etawah apart from the historic cities like Agra, which is also located quite close to the city of Etawah. The fort in Bhareh, located within the boundaries of the National Chambal Sanctuary and the fortress of Lakhana are some of the ideal places nearby Etawah that the tourists visit on their trip to Etawah, Lakhana being linked with extensive roadways to the city of Etawah. The Sengar rulers used to be the occupants of the fortress at Bhareh, which was built around a millennium ago. In September 1858 the British army invaded the Bhareh Fort with a French carronade, which weighed about 18 pounds. But they failed to get hold of Sengar Raja Rup Singh, an active member of the freedom fighters’ group comprising of Jhansi’s Rani Lakshmi Bai, Nana Saheb and Tatya Tope. Sightseers in Etawah prefer not to miss to visit the ruins of this historic fort in Bhareh and also make it a part of their itinerary to explore the various ancient objects exhibited inside the Lakhana Fort. Raja Niranjan Singh of Bhareh, grandson of Raja Rup Singh, was an important part of the historically revolutionary Quit India Movement. Other historic personalities associated with the region of Bhareh were Sengar ruler Bhagwant Deo and the legendary literary researcher of Sanskrit language, Nilkanth Bhatt. In Lakhana, apart from the ancient fort and the historic exhibits put at display there, other places of interest include the famous Kalka Devi Temple, popular in the region for the religious ceremonies being held here. The Saman Bird Sanctuary in the district of Mainpuri in Uttar Pradesh is a beautiful haven for many unique species of migratory birds. Established as a bird sanctuary in 1990, the Saman Bird Sanctuary also features various wild species of rarely found animals, which include the mongoose, the jackal and the hare. 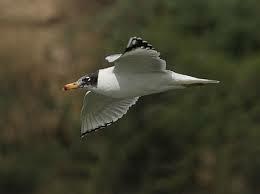 A trip to this bird’s paradise near Etawah is best enjoyed during the months of February and November. 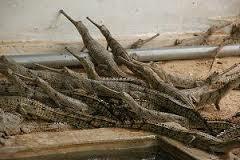 The National Chambal Sanctuary near Etawah is also widely known as the National Chambal Gharial Wildlife Sanctuary. A wide variety of crocodiles, most of their lives being threatened in the present day scenario, has been provided with a safe and peaceful environment at the National Chambal Sanctuary amidst the profuse riches of unspoiled nature. Wildlife at National Chambal Sanctuary is comprised of the shiny-bodied Otter, gray-haired Indian Wolf, flesh-eating Hyena and the moderately-sized Mugger crocodile. The fish-eating gharial, which is popular extensively as the gavial in the Indian subcontinent, the red-crowned roofed turtle of South Asia and the Ganges River Dolphin of the South Asian freshwaters have also found their home at the National Chambal Gharial Wildlife Sanctuary easily reachable from the town of Etawah. The 18-feet-long gharial, the 21-feet-long crocodile and the freshwater dolphin are the major attractions of this beautiful wildlife sanctuary near Etawah. I would suggest to add Lion Safari details also. Lion Safari is world best Safari with all the latest facilities.